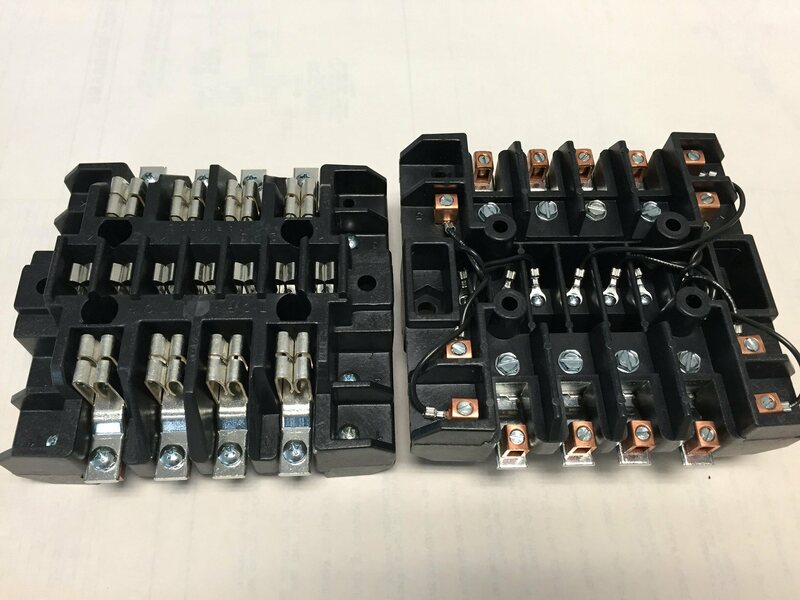 Meter Sockets | Electric Meter Sockets | Cal Fasteners, Inc.
Used to monitor the amount of energy being dispersed through the meters on which they’re installed, meter sockets are critical components in residential and commercial electric metering. Cal Fasteners carries a full line of meter sockets from Circle AW, Cooper B-Line, Siemens, Eaton, Marwell, RS&E, and other leading manufacturers. We offer 4-jaw, 7-jaw, 8-jaw, 13-jaw, and 15-jaw models in a variety of amperage ratings, from 20 to 200 amps. See individual product listings for full specifications. Previously, 13-jaw and 15-jaw meter sockets were prone to cracking and breaking during shipping. To remedy this problem, we worked with one of our primary vendors to develop new models that are durable enough to withstand even the roughest handling. Our new 13-jaw and 15-jaw meter sockets are manufactured from a unique polycarbonate material that contributes to the long term strength and flexibility of the meter terminal block. Terminal blocks can be retrofit into existing sockets or used in new installations. These meter sockets are CT-rated at 20 amps and are available in both front and back mount models. Request a quote on meter sockets, or contact Cal Fasteners to learn more.